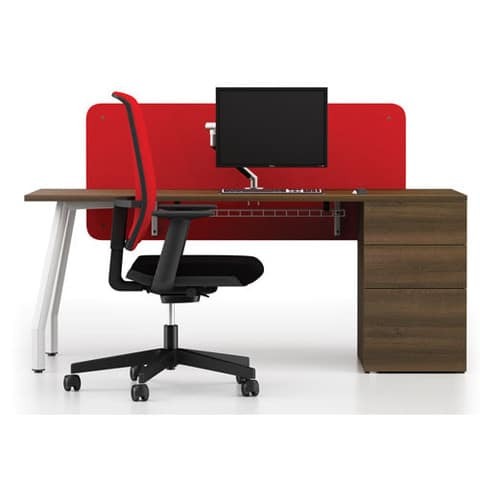 Featuring interconnecting underframes, Script desks provide clear and ample knee space whilst still offering strength and durability. 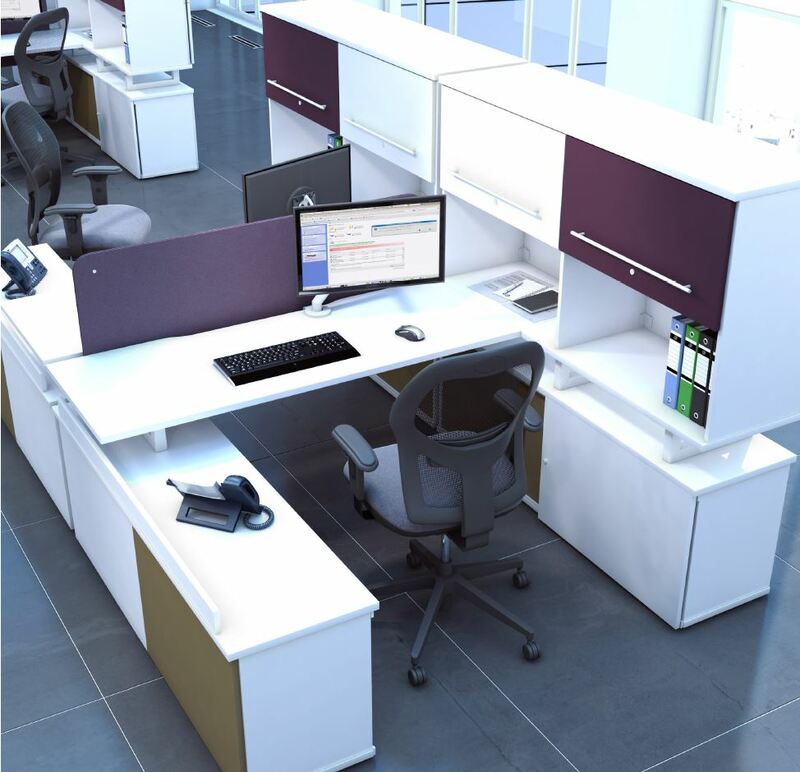 Infinitely adaptable, configure Script as often as required to provide the solution that your work space needs with interchangeable screens, modesty panels, cable trays and other accessories. 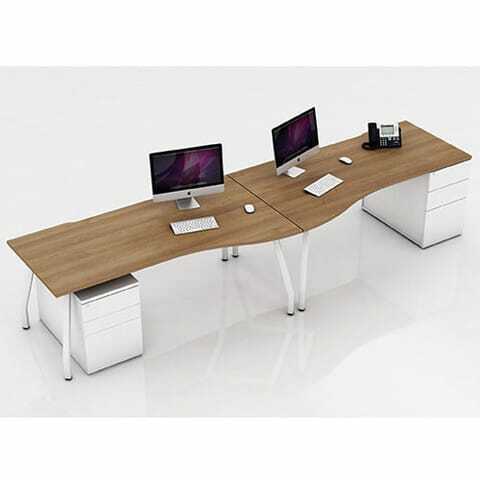 There is also a range of coordinating storage options such as pedestal drawers, shelving units, cupboards and over-desk hutches. 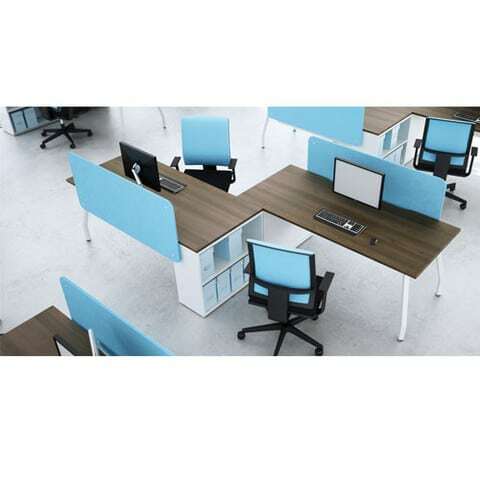 Clean lines, striking colours and a choice of finishes add fun and personality to the workplace, while a range of space saving units keep personal, shared and archival storage within easy and convenient reach. 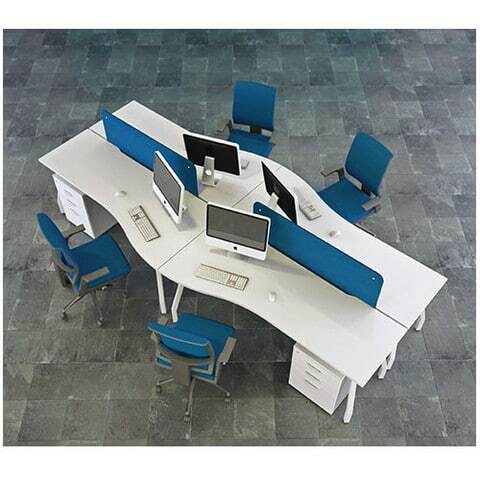 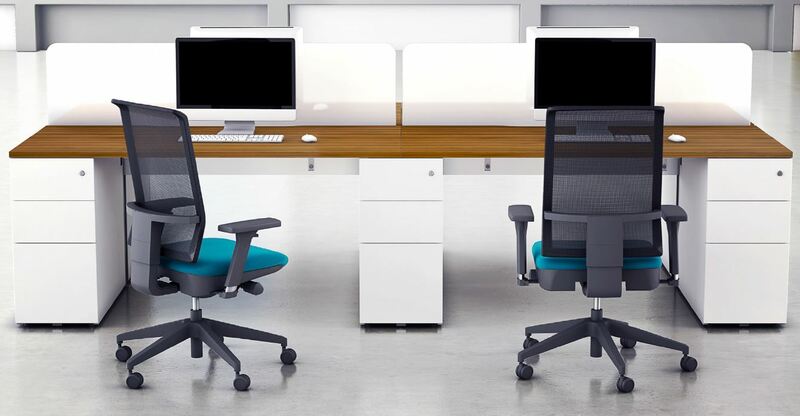 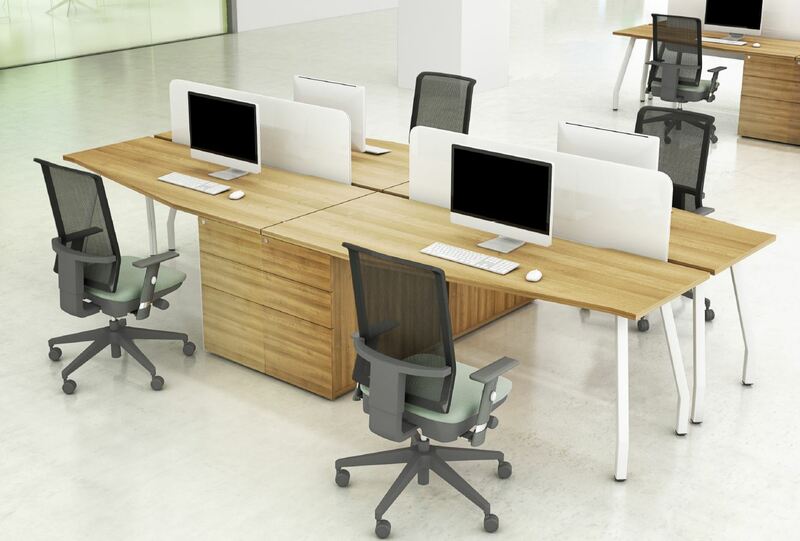 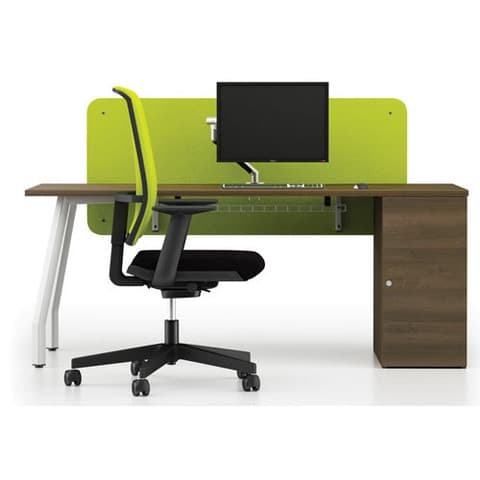 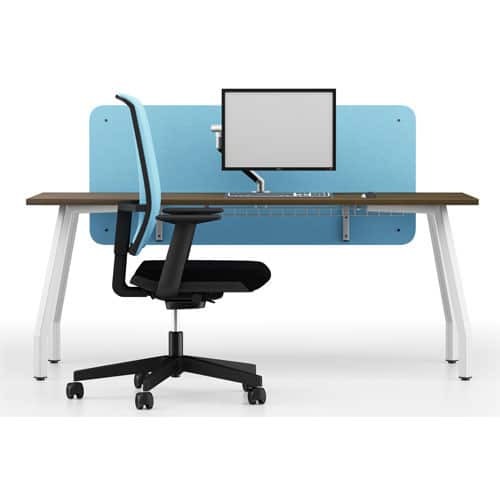 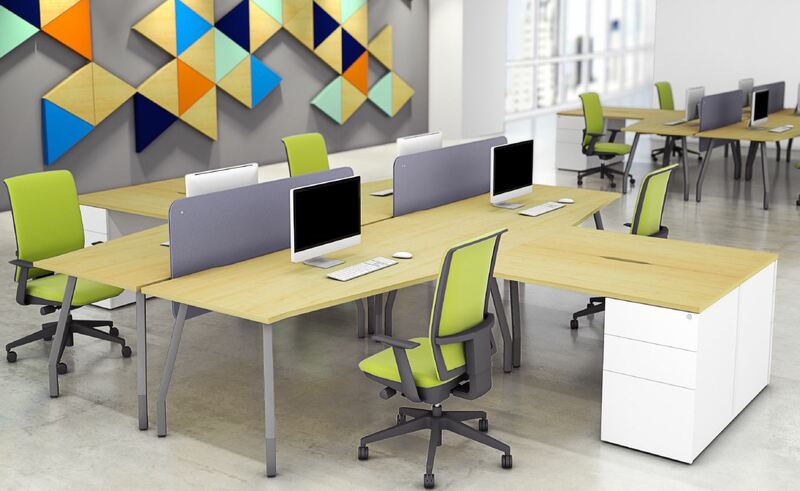 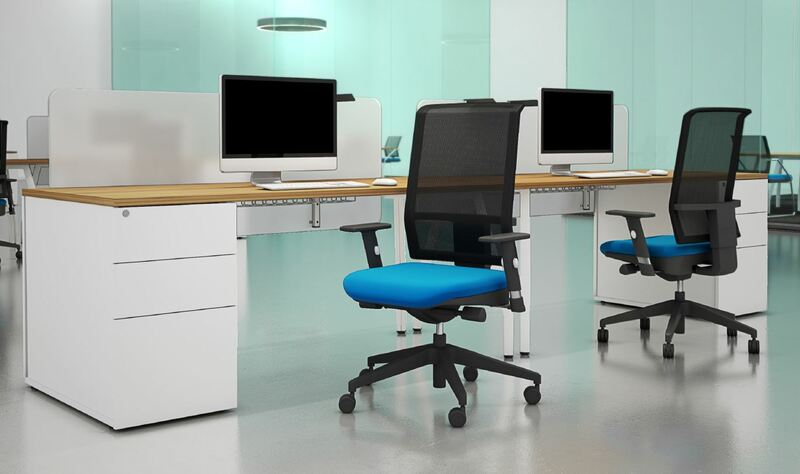 Desks are available with epoxy powder coated angled or straight legs with a range of top shapes to enable you to create a system that works with all of your available space.